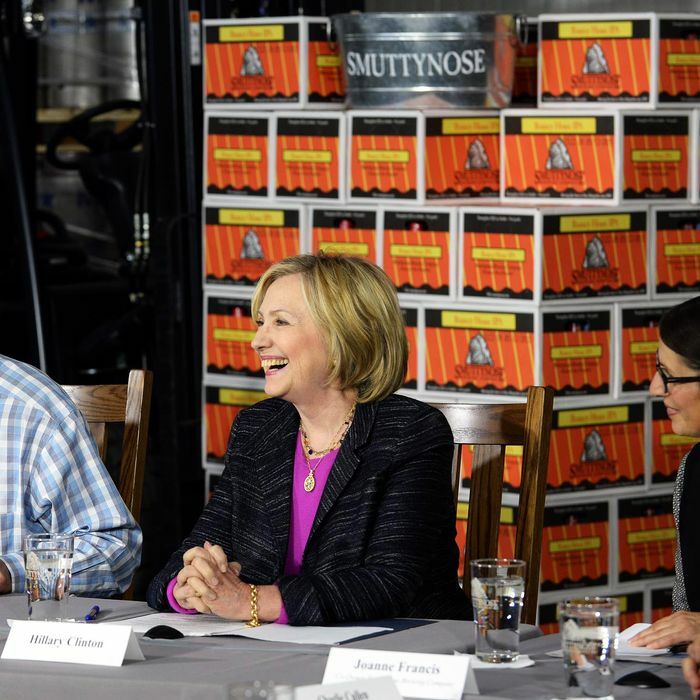 Team Hillary made a brilliant stop at New Hampshire’s Smuttynose Brewing Company, a national treasure for beer nerds. She was there for a round-table discussion with founder Peter Egelston — all about small businesses, of course. Is there a better way to start the holiday weekend?